Over charge protection, over-discharge protection, short circuit protection, over current protection. 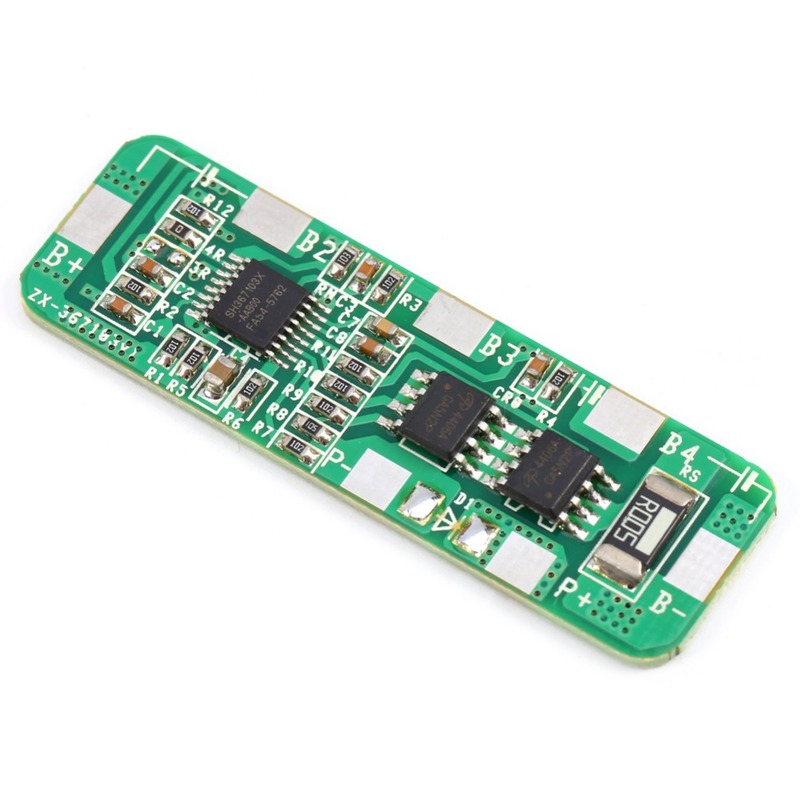 1.the lithium battery with protection board according to wiring diagram, when the battery voltage is overcharge and over-discharge voltage between the voltage, and P +, P- 1 second after charging, P + and P- output voltage of the battery voltage. 2.Battery charge function: between P + and P- plus charger, battery charging, the battery voltage charge to overcharge detection voltage (4.25 +/- 0.025V), the protection circuit to cut off the charging path, to achieve overcharge protection. 3.Battery over-discharge protection: in between the P + and P- connected load to the battery discharge when the battery voltage drops to over-discharge voltage (2.4 +/- 0.08V), the protection circuit, shut off the discharge path to achieve the over-discharge protection. 4.Short circuit protection: When the P + and P- short circuit protection circuit will act quickly in 5-50uS, cut off access, short-circuit protection. Over current protection function: When the V- terminal voltage of (0.15 +/- 0.02V), the protection circuit will act quickly in 6.7-13.9ms, cut off access, over current protection. Note: If the correct welding, testing the output of non-output, use other ways to activate charging about protection board!